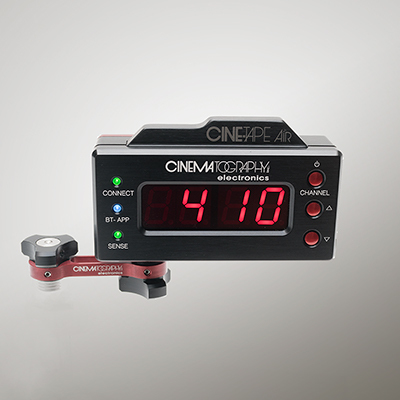 With the new CineTape 2, Cinematography Electronics introduced a control which is lighter and smaller than the legendary CineTape Measure (CTM). 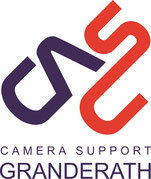 It continuously calculates the distance between the camera’s film plane and the subject. Besides all CTM features it now comes with a 2-way wireless radio, that communicates with the AIR Mobile 2 at a strong 500 foot range. It’s BlueTooth compatibility also connects the CINETAPE 2 to an iPhone, via the CineTape Air App. 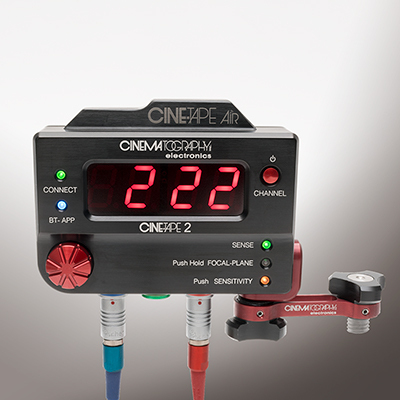 The new CineTape 2 has a strong companion for wireless communication, the AIR Mobile 2 which is a small, lightweight, battery operated unit that attaches to any hand held FIZ unit or monitor. The AIR Mobile 2 is linked to the CineTape 2 by a 2.4 GHz radio with a solid 500 foot range that is not limited to line-of-sight. Choose from 40 channels for clear connections. In addition, Bluetooth connectivity is built in. Integrated antennas are internal, so they are protected from damage. The AIR Mobile 2 has a large red LED display, and LED indicators for Sense, Connect and Bluetooth. The AIR Mobile 2 is powered by a small, removable battery that lasts an incredible 8-10 hours before recharging. 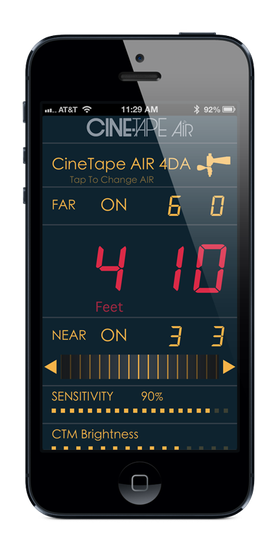 Cinematography Electronics also introduced the CineTape AIR App which connects the CineTape 2 and AIR Mobile 2 with iPhones, iPads and iPods. The measured distance is beautifully displayed in easy to read large red characters that mimic the CineTape 2. As a reference, the set units of Feet or Meters, is shown underneath. Other App features include adjustable distance limits, sensitivity and brightness levels. The adjustable ‘Near’ and ‘Far’ distance limits are shown in medium size yellow numerals. Each can be set and switched on or off independently. This makes it possible to preset limits and activate or deactivate them during a shot. The CineTape 2 Sensitivity and Brightness is also adjustable from the App.